Jeff Apter is a seasoned writer of largely Australia-based music titles, from studies of AC/DC and the Finn Brothers, to books about Keith Urban and Johnny O’Keefe. 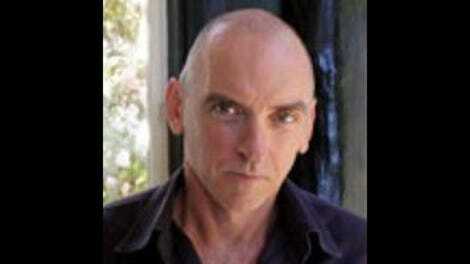 He co-wrote Kasey Chambers’ memoir, A Little Bird Told Me, and is also a senior writer for Rolling Stone Australia. So he’s a perfect candidate to examine what is perhaps Australia’s biggest musical export: the Bee Gees. Apter’s biography closely explores the intertwined lives of Barry, Robin, and Maurice Gibb, as well as that of their younger brother, ’70s pop star Andy. The book is separated into three sections, allowing for the author to follow the brothers’ story from their early years as Beatles-esque pop tunesmiths (“Beginnings”) through their second-act disco heyday (“Fever”), to their final years, following the deaths of Maurice, Robin, and Andy, leaving Barry to soldier on alone (“Tragedy”). The story of the brothers Gibb is rife with suffering. They seemed to be famous almost from birth, their lives consistently in the limelight. They found popular success early on and critical success with 1969’s epic double album Odessa. They faded away only to reemerge as heroes for a disco generation through the Saturday Night Fever soundtrack. The double album sold over 15 million copies in North America alone, bringing the Bee Gees a second wave of fame infinitely greater than their first. Andy became a teen idol, his star shining a little brighter than his brothers’ for a brief moment. Apter’s tale also highlights the bad that came with the good for the Gibbs. Maurice struggled with alcohol abuse. Robin is portrayed as petulant and emotional, often feeling left out between the handsome one (Barry) and the funny one (Maurice). Andy’s well-documented troubles are also detailed—his failed marriages, substance abuse, and ultimate decline and demise. Barry often stands alone as the rational one among the brothers. Somehow, with all the juicy stories, the decades of artistry, fame, and lifestyle excess, Tragedy presents the Bee Gees’ story in a very matter-of-fact way. While the pace doesn’t bog down and the book never bores, it also does not exactly excite. Apter includes a sufficient bibliography of sources from which he crafts his tale, but there are no new interviews or research to lend the story a sense of the present, so that the story sometimes reads like an extended Allmusic biography. Still, it’s much more succinct than that the 800-page The Ultimate Biography Of The Bee Gees: Tales Of The Brothers Gibb, from which Apter acknowledges he drew both inspiration and source material. 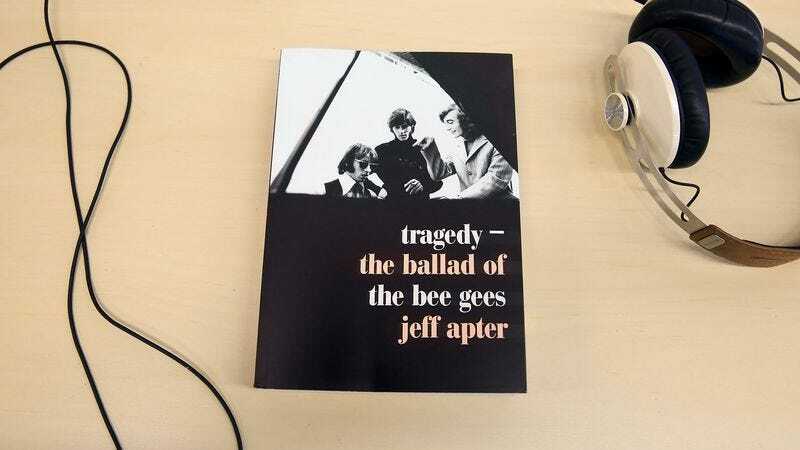 Tragedy: The Ballad Of The Bee Gees is a well-constructed biography that highlights the dizzying highs and mortifying lows of a band whose success defined a generation (or perhaps two). What it lacks in emotionality, it makes up for with valuable comprehensiveness and detail for Bee Gees fans.